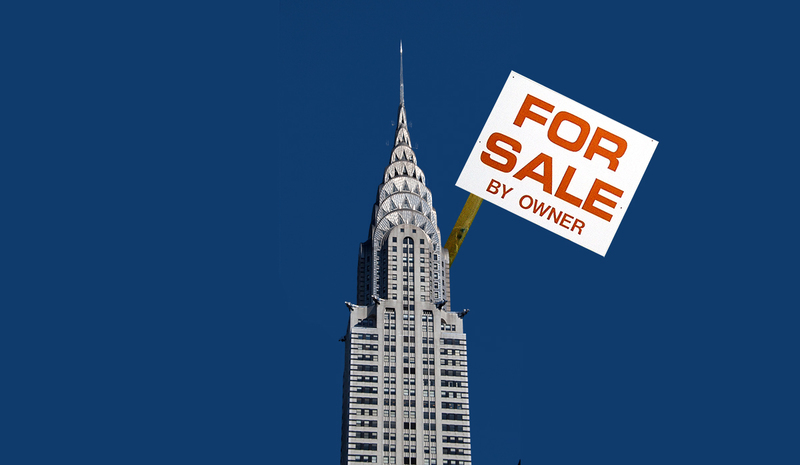 New York’s famed Chrysler Building is up for sale for the first time in over 20 years. According to the Wall Street Journal, the art deco office tower’s current owners, city developer Tishman Speyer and the Abu Dhabi Investment Council, which owns 90 percent of the property, officially placed it on the market this week. An exact number on the building’s value has yet to be announced, but experts say its unlikely that the piece of prime real estate will attract more than its asking price before the recession. Tishman Speyer bought the Chrysler Building back in 1997, spending over $100 million in facility upgrades on the historic structure as well as two other buildings. The Abu Dhabi government group claimed a stake in the property in 2008 for a whopping $800 million. Since then, such foreign investment and supposed stability in the property have sparked interest from new tenants, such as Creative Arts Agency, LinkedIn, Expedia, and Shutterstock. Despite securing leases with these companies, the prewar building faces many challenges in maintenance and upkeep. WSJ estimated that this will affect the overall sales price of the structure, along with the increasingly expensive lease it holds through the Cooper Union School, which owns the land beneath it. On top of that, the 90-year-old building has to now compete with the slew of starchitect-designed commercial skyscrapers that have popped in the last decade. Though it’s still an essential part of the New York skyline, some fear the Chrysler Building may not be as wanted as these newer, more sustainable structures designed to accommodate the modern worker. But who knows? Maybe a new owner will drop money on a major retrofit. When it opened in 1930, the Chrysler Building held the title as the world’s tallest building. It shocked the city and the nation at 77 stories tall with a 185-foot spire, designed by architect William Van Alen. The Empire State Building soon surpassed the height of the 1,046-foot structure by 204 feet. When one hears of a piece of architecture by Alison and Peter Smithson being altered, the worst comes to mind, particularly when developer Tishman Speyer promises a "wholesale re-imagining." With demolition photographs of the architects' Robin Hood Gardens splayed across every design publication and blog, this protective instinct is more than justified. Now, London firm Deborah Saunt David Hills Architects (DSDHA) has completed Phase One of such a "re-imagining" of the Smithsons' Economist Plaza. And if evidence of this first phase is a precedent for the rest, then we can breathe a momentary sigh of relief, for the project is in safe hands. 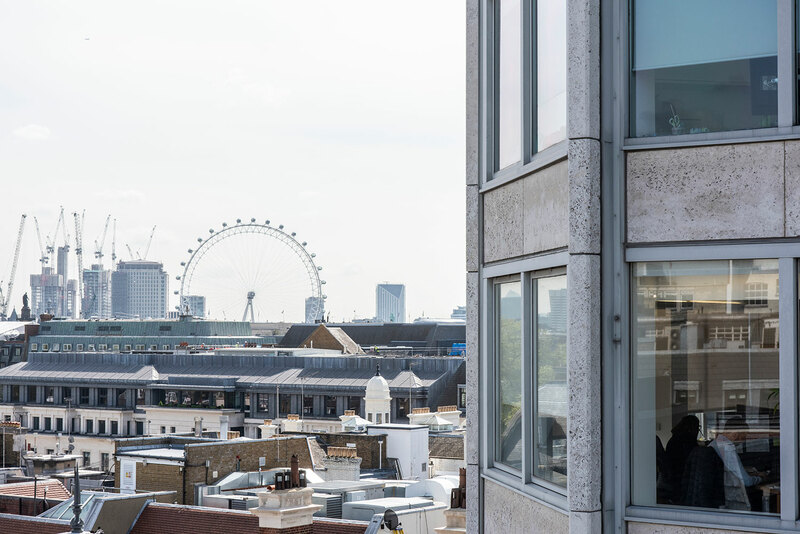 Comprising a trio of buildings, all varying in height, the Economist Plaza off St James's Street is a quiet enclave in the city, a welcome respite a stone's throw away from the tourist throbbing bustle of Piccadilly Circus. It was designed by Peter and Alison Smithson for the Economist magazine and finished in 1964, a decade after the Smithsons first took to the architectural stage with the Hunstanton Secondary Modern School. Tishman Speyer's decision to employ DSDHA reflects a sensitivity to the project, something it is well-versed in through its management of other 20th century icons like New York's Chrysler Building and Rockefeller Center. Its decision to rename the complex to "Smithson Plaza" in the original architects' honor embodies this ethos. The Smithsons' contribution to architecture is enormous. As teachers, writers and academics, they were prolific. But as architects? Not so, and today, their eponymous plaza is their last remaining work in London. DSDHA has refurbished the tallest tower, renamed "Smithson Tower," which rises to 15 stories and was once owned and fully occupied by The Economist. Here, the lobby has had a facelift and the tower has new elevators, double-glazed windows, insulation and services, replacing the Smithsons' unorthodox and outdated ventilation system. A new, 1,500-square-foot public cafe (yet to be finished) has been installed on the tower's ground floor. However, this, combined with a reinstated public art program on for the plaza, heralds the danger of the plaza losing its tranquillity as it becomes both visually and programmatically busier. "We found that many people didn't even know this was a public space," Deborah Saunt, co-founder of DSDHA, told The Architect's Newspaper. Inside the upper six floors of the tower, renovation work has created 21,500 square feet of office space. Who will inhabit that remains to be seen. To its previous tenants, the vistas were a source of empowerment. "Perhaps our height also gives us greater confidence in handing down Olympian judgments on world affairs," the Economist wrote in a 2016 farewell letter after it had sold the premises for $170 million. The tower's facade has also been cleaned to reveal its pitted Portland Stone and Roach Bed stone. On the ground, the plaza has been resurfaced with granite, a material which has been allowed to flow into the new lobby where it replaces what was once concrete flooring. If you ignore the impending planters, the plaza has since become a much lighter space in a show of pure materiality. And when washed in sunlight, the tower's almost gleaning beveled edges are as tactile as any imported verdure. Only now do Skidmore, Owings & Merrill's (SOM's) 1990s interventions, adding a canopy and extending the lobby into the colonnade with glass and travertine cladding, seem horribly hamfisted. DSDHA has done well to undo some of this work, replacing the travertine with Portland Stone, for example. With the lobby gaining a new concrete bench, akin to an original external seat and now sharing materiality with the plaza, the colonnade feels primed to realize its potential as the threshold it was originally intended to be. For the time being, however, the canopy and glass frontage, spaced awkwardly close to the colonnade, remain. More changes had been planned by SOM as well, with two further stories proposed for the plaza's tallest tower. On the 13th of June in 1988, though, the plaza and its buildings were hurriedly awarded Grade II listing (the equivalent of landmarking)—a move which makes you wonder, particularly in the aftermath of the Robin Hood Gardens demolition, where the spirit to preserve architecture has gone. The Smithsons, of course, were aware of change being around the corner. In 1965, they remarked that in 200 years' time, their work "may seem an error." "But in our situation," they continued, "there is no other course but to build and to demonstrate." Even DSDHA's proposals did not come without backlash when they were unveiled in 2016. "The Smithsons’ best and last remaining London building deserves better," wrote critic Ellis Woodman in February 2017, as other architects voiced their concern. Some of DSDHA's plans have been curtailed. A proposed spiral staircase will now be a much simpler slip stair, which will lead to a new gallery space—a conversion of the former car park. These changes are due to be made in later phases as part of the addition of 4,600 square feet of retail space. Renderings for the new Studio Gang-designed 11 Hoyt condo development in downtown Brooklyn have been released. It will be the Chicago-based firm’s first residential project in New York City and located next to the downtown Brooklyn Macy’s building. Topping out at 51 stories at 664 feet, 11 Hoyt will be among the tallest buildings in Brooklyn—taller than any existing structure and only beat by the yet-to-be-completed City Point Tower III and the under-construction 1,066-foot skyscraper at 9 Dekalb Avenue designed by SHoP Architects. Built on the site of a former parking garage demolished for the project, 11 Hoyt is part of a broader set of changes and high-rise construction happening in downtown Brooklyn. The foundation is already laid with construction of the concrete superstructure to begin soon for an anticipated 2020 completion. 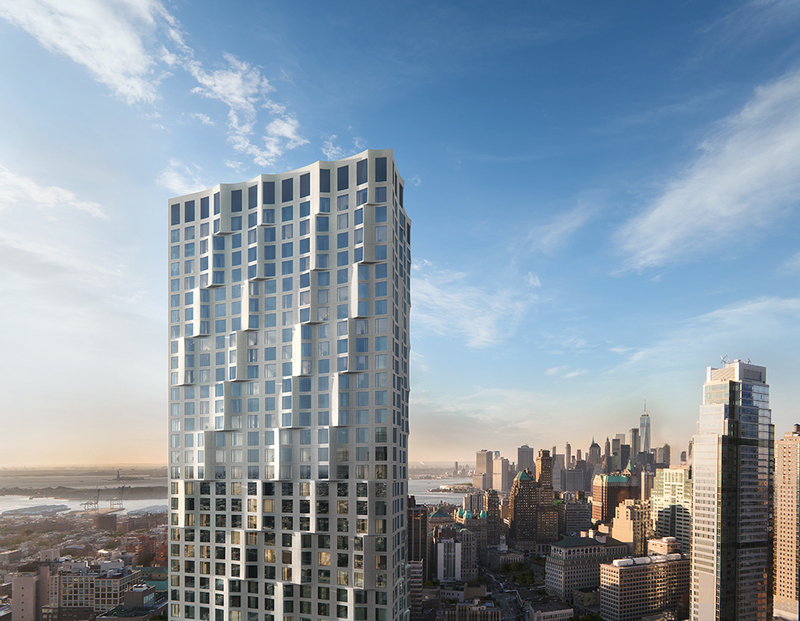 The tower is distinguished by its rippling facade and punctuated by square windows, adding a textural quality to Brooklyn’s growing skyline.The luxury building will have 480 residences with interiors by Michaelis Boyd Associates, as well as 50,000 square feet of indoor and outdoor amenities. Landscape design of the significant outdoor space will be overseen by Hollander Design. 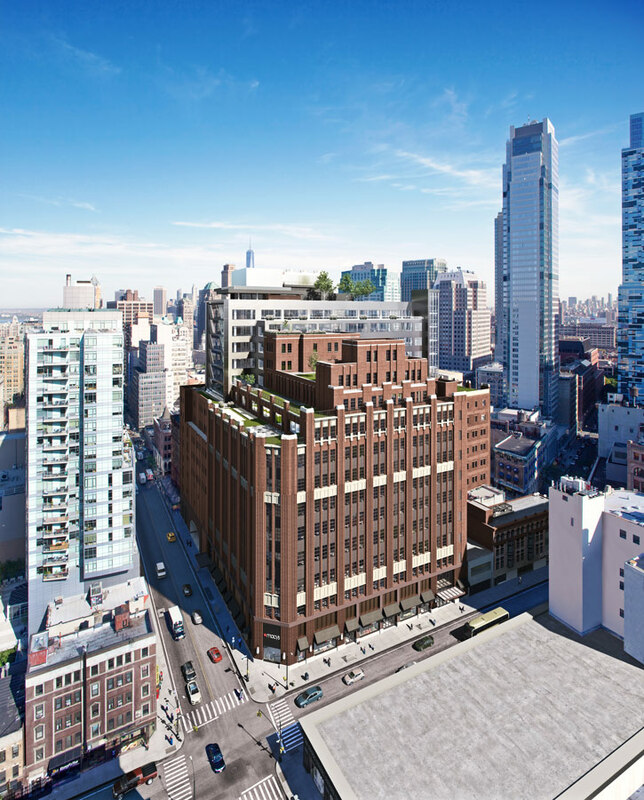 The site is being developed by Tishman Speyer, who is also behind the major changes to the adjacent Macy’s building, which includes the addition of a ten-story office tower designed by Shimoda Design Group. At a buy of $157 million, New York–based developer Tishman Speyer secured the final air rights it needed for The Spiral, a massive new BIG building in Hudson Yards. 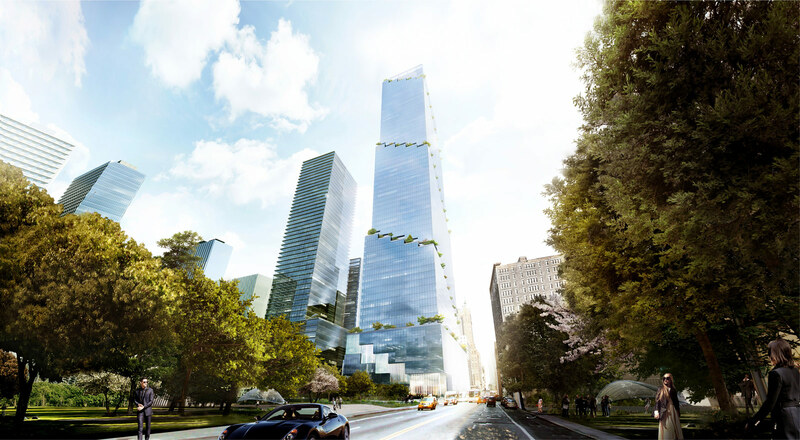 The green-ribboned glass monolith, which will top out at 65 stories with a $3.2 billion price tag, acquired the rights from lots around the Eastern Rail Yards owned by the Hudson Yards Development Corporation. Pfizer, the New York–based pharmaceutical mammoth, will be the tower's primary tenant, and has already inked a deal to rent out 800,000 square feet of the total development. To date, Tishman Speyrer has spent $265 million on air rights alone—the tower will rise to a lofty 1,005 feet, which will make it the second-tallest development in the Hudson Yards, right after 30 Hudson Yards. Designs for the supertall were first released last February by the developer, and feature an ascending spiral of terraces populated with vertical and hanging greenery split between two-floor atria. These spaces, leased out as offices, housing, and hotel, will offer incomparable views over the Hudson River and the High Line, which will extend right up to the tower's base. The idea for the spiraling greenspaces (a popular trope, especially after Stefano Boeri's forested towers in Milan) is drawn from naturally-occurring patterns demonstrated in plant growth, molecular structure, and galactic formations, as Ingels explains in the tower's promotional video. With all rights locked down, Tishman Speyer now has the go-ahead for construction, joining its KPF-designed neighbors 55, 30, and 10 Hudson Yards. New York-based developer Tishman Speyer officially filed their plans for the $3.2 billion, 65-story office skyscraper designed by Copenhagen-based Bjarke Ingels Group (BIG). Dubbed the Spiral for its continuous band of terraces, the tower will reach a height of 1,005 feet. BIG has been quite busy in New York—they just wrapped Via 57 West and The Architect's Newspaper has even heard they're being passed over for projects because clients fear their office is too busy. Though the plans filed with the city only call for 2.2 million square feet, Tishman Speyer is marketing the property at 2.85 million square feet in size; the project will also include 27,000 square feet of retail space on the ground floor. The Spiral is one of two towers in Hudson Yards already being considered by investment firm BlackRock (if the company decides to leave its Park Avenue home, according to a report by Crain’s New York Business). Back in 2014, Tishman Speyer paid $438 million for the two parcels of land where the Spiral will stand; the company also received a $170 million, 25-year tax abatement on the project later that year. When tenants of two townhouse apartments at 35th Street and 10th Ave. refused to move out, Tishman Speyer paid them a $25 million settlement to vacate the premises in order to move forward with their plans, instead of spending years in court battling it out against the now infamous tenant attorney David Rozenholc, according to Gothamist. 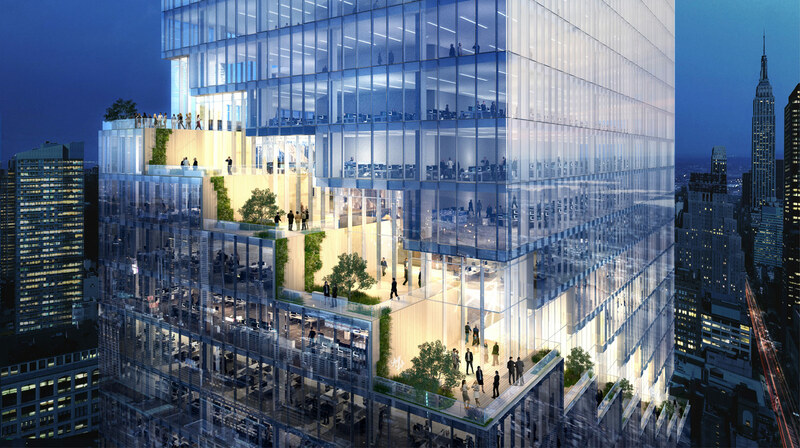 Tishman Speyer has received over $1 billion from international investors to move the project forward and the developer hopes to pre-lease a third of the building to cover the remaining costs of construction, as reported by The Real Deal. The company also purchased two additional parcels of land across from the Javits Center at 11th Avenue earlier this year, with plans to build another 1.3 million-square-foot office tower. In a new Manhattan skyscraper, Bjarke Ingels Group (BIG) reinterprets the tower-in-the-park by bringing the park up into the tower. 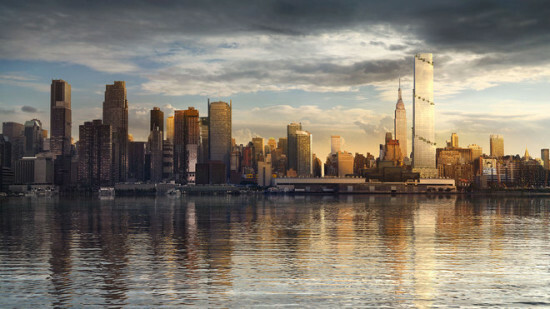 https://vimeo.com/154626810 Today, the New York–based firm unveiled The Spiral, a 65-story skyscraper at Hudson Yards. The tower, programmed for offices and 27,000 square feet of retail, is located along the High Line, with a front entrance facing under-construction Hudson Park and Hudson Boulevard East. For those tracking the recent explosion of supertalls, The Spiral, at 1,005 feet, is eye-level with 1,004-foot One57. The prevailing visual element is a stepped group of terraces and hanging gardens, connected to double height atria, that wrap around the side of the building. For tenants renting out multiple floors, the atria can be programmed to connect to other floors, a tweak that could reduce reliance on elevators. Storytelling plays a strong role BIG's practice. The firm has a knack for delivering chronicles that distill the complexity of urban space and the ambiguities of history into a straightforward narrative that situates a project in time and place just so. “The Spiral will punctuate the northern end of the High Line, and the linear park will appear to carry through into the tower, forming an ascending ribbon of lively green spaces, extending the High Line to the skyline," asserted BIG founding principal Bjarke Ingels, in a statement. 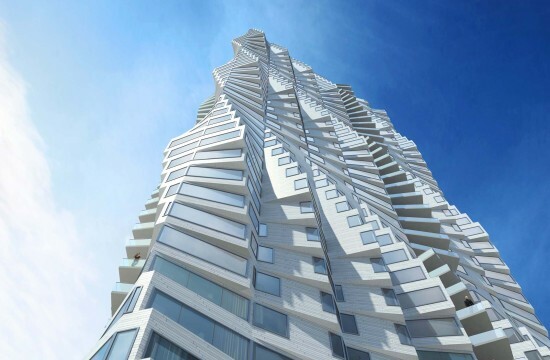 "The Spiral combines the classic Ziggurat silhouette of the premodern skyscraper with the slender proportions and efficient layouts of the modern high-rise. Designed for the people that occupy it, The Spiral ensures that every floor of the tower opens up to the outdoors creating hanging gardens and cascading atria that connect the open floor plates from the ground floor to the summit into a single uninterrupted work space. The string of terraces wrapping around the building expand the daily life of the tenants to the outside air and light.” In a video accompanying today's announcement, Ingels nails down the appeal of the swirl with pretty motifs from science and nature: "The spiral's immaculate geometry, and its suggestion of the infinite, that has mesmerized us in all cultures, and across time and place." The Spiral, he posits, will be "a new tower that stands out among its neighbors, yet feels completely at home." As buildings should? With BIG's unveil, Phase 1 development is continuing apace at Hudson Yards. When complete, the new neighborhood will allow for 26 million square feet of office space, 20,000 units of new housing, three million square feet for hotels, and two million square feet of retail. Hudson Yards first skyscraper, KPF's 10 Hudson Yards, topped out last October, with construction on 15, 30, 35, 50, and 55 Hudson Yards well underway. REX unveils a fluted glass office building in Washington, D.C.
As the United States capital,Washington, D.C. is a de facto magnet for smart people who want to make an impact on government. The city doesn't often make headlines for its contemporary architecture, though occasionally, a sharp new project breaks into the parade of undistinguished office buildings. One of those is a newly unveiled 11-story structure by Brooklyn-based REX at 2050 M Street, between Washington and Dupont Circles. While the client is Tishman Speyer, CBS will be the 400,000-square-foot building's primary tenant. The project's executive architect is Houston's Kendall/Heaton. The building responds to D.C.'s strict zoning codes and its prevailing office building typologies: the Neoclassical, Beaux Arts, or Brutalist box, and the smooth, soulless glass box. Zoning requires buildings to have similar height and mass, but do not regulate, or encourage, aesthetic harmony. As a result, statement buildings with similar width and height, but widely divergent styles, compete for attention. To reconcile this peculiarity, REX's building combines the mass of a stately Neoclassical building with a transparent, fluted glass facade. According to REX, the facade is comprised of "nine hundred identical, insulated-glass panels—11.5 feet tall by 5 feet wide—are subtly curved to a 9.5 foot radius through a heat roller tempering process." The floor-to-ceiling "mullion-less" windows allow sightlines that extend through the interior. The result is an exterior that catches light at regular but unexpected angles and throws pleasantly distorted images of its neighbors back at the viewer. To offset the rigidity of glass, the lobby is clad in decidedly non-vegan cowhide, and is large enough to accommodate a site-specific sculpture by an as-yet-unnamed artist. When it is complete in 2019, 2050 M Street hopes to achieve LEED Gold certification. See the gallery below for more images of the project. 2015 was a successful year for REX. In September, principal Joshua Prince-Ramus won the Marcus Prize. 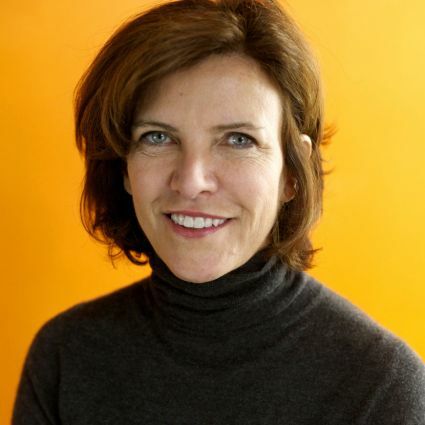 The biannual honor (and cash prize) is given to an architect "on a trajectory of greatness." As part of his Marcus Prize acceptance, Prince-Ramus will teach a graduate studio on adaptive reuse at University of Wisconsin–Milwaukee School of Architecture this Spring. Among the amenities--Oval Lounge, Oval Kids, lots and lots of trees--Tishman Speyer has rolled out at Stuytown to justify the ever-higher rents is a new summer concert series. And performing tonight is none other than... Jay Reatard? Kaki King and Budos Band we kinda get, though really, wouldn't the Klezmonauts have made more sense? Or perhaps that is the genius behind bringing in this would-be-Ozzy Memphis garage punk Jay Reatard (the name alone says it all). This is a man, after all, who punched a fan for being too rowdy at a Toronto show, who regularly poses for pictures drenched in blood. What better way to drive out what's left of Stuytown's intractable, crotchety, and old (i.e. rent-controlled) residents than to have hundreds if not thousands of sweaty hipsters descend on your quaint little park and cause mayhem. Video evidence after the jump.